That's a corker isn't it? We spent much of the show discussing stories that could end with the words, "but I was only trying to help..." and, as usual, our listeners had some corkers. If I learned one thing it's never ask a child to feed the goldfish if you're not absolutely sure they know where the fish food is. I was particularly fond of a tweet from Alex Mcaleer who told us that "as a young girl my mother decided it would be nice to light the candles on the Xmas tree for when her parents came home"... if only because it was followed by the perfect final line: "As you can imagine, it went up like a Xmas tree". We had most of the usual regular features (Danielle's obsession with Michael Fassbender is becoming worrying, mind) but also introduced something new that I think we'll return to every now and then - The Autofill Quiz. This started because I tried to google the word Dentist on Friday night while being slightly distracted by other things. (Not toothache, as it happens). I've never really paid much attention to Google's autofill suggestions before. I know it always tries to guess whatever it is you're looking for, I've just never paused to see what those guesses are. But on Friday I did. 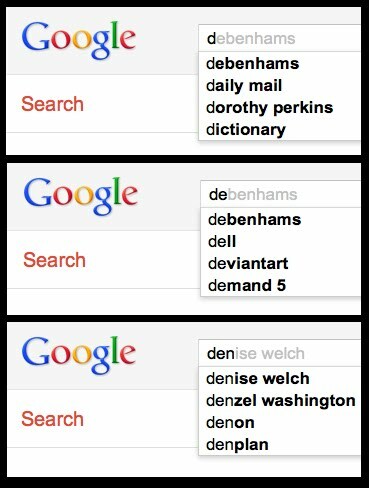 The first guess when I'd typed in just a 'D' was Debenhams. With an 'e' added it was still Debenhams, obviously,... but when I added the 'n' it became Denise Welch. 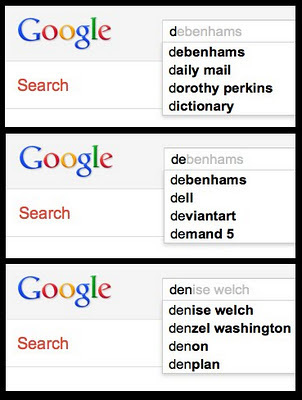 Google thought it more likely that I was searching for Denise Welch than Denzel Washington. Well, she had just won Celebrity Big Brother. Apparently. And the result was, well, an Autofill Quiz. It made sense at the time. Like I say, I think we'll revisit the idea in the future - changing the start of the question to generate a different quiz - so if you think you might want to be on the show and take part on the phone, then email us here. The podcast was full of the usual extras - and there's more in the Someday Podcast too. You can get the latest podcast here, or for you non-itunes folks, here. 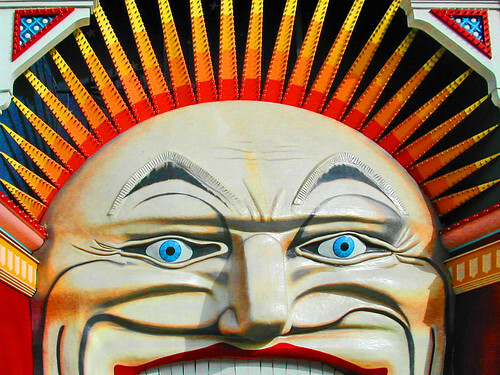 Luna Park, originally uploaded by Dave Gorman. It's Australia Day today... so what better day to announce that I'm taking the live show to Melbourne for the International Comedy Festival? There is no better day. Actually, there are probably plenty of better days. I mean, it's Australians that are hopefully going to buy tickets and they're out celebrating because it's Australia Day. Oh well. It's too late now. I'll be heading out after the 4 night run in London, for a 2 week run in Melbourne... before returning to the UK for my national tour. Tickets for Melbourne - and for London and the national tour for that matter - can be bought through the links on the Live Dates page of my site. I really enjoyed the show yesterday. Inspired by a waiter who denied the existence of mint tea to me, despite serving it to people sitting at tables all around me, we started talking about weird dining experiences. There were cafes that serve All Day Breakfasts - but only before 11am - ants in the antipasti and a tweet from Alex Philip about a waiter in a Cornish restaurant who kept tucking the tablecloth into diner's collars for them, y'know... instead of a napkin. Of course, as well as the main show, we do a load of extras for the podcast. This week we began our efforts to try and end a 10 year old grudge between a man in Bristol and his favourite pizzeria, discussed the things you can see behind a Dutch cafe toilet door and had a busy session in the Pun Street Planning Committee Council Chamber - where Brooklyn Tomato was put forward for Fail Lane (that makes sense when you know what kind of restaurant it is), two wool shops (Woollabulloo and Un-ewes-u-wool) went head to head for the right to take on the incumbent, World of Woolcraft and the coffee shops based in Glasgow's old Tardis style police boxes - Coppuchino - had a go at deposing Brewed Awakening. Of course there's also the Someday Podcast out later in the week. If you've got a suggestion for Pun Street send it to us here. If you've got a suggestion for Listeners Lexicon - or a guess for any of this week's words (comfort, hairdresser, ARSFLY) you can send them here. You can get the podcast here (itunes) or here (um... not itunes). Optimus Prime, originally uploaded by Dave Gorman. So... as well as the extra tour dates for Powerpoint Presentation, we've just added a 4 night run in London. 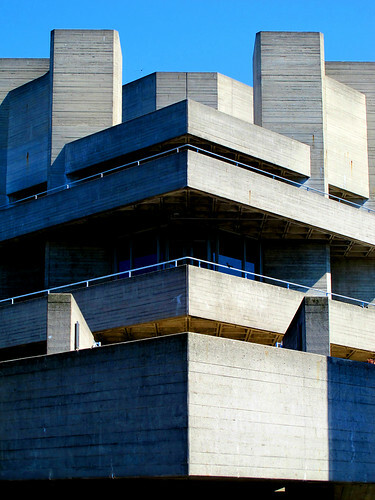 The shows will be in the Queen Elizabeth Hall at the Southbank Centre. April 2 - 5. Thanks to everyone who came along to the Pub Olympics recording last night. I keep being asked what the show is. Um. It's a one off for Radio 2. It's not about beer mat flipping or anything like that because, well, because it's a one off for Radio 2. I can't imagine beer mat flipping makes for great radio. I might be wrong. But it is silly. And it's a panel show of sorts. The sort that we imagined might be called The Pub Olympics in a world where the Pub Olympics is far more important than that other Olympics you might have heard about. Anyway... in unrelated events, here's an animated gif of me eating a banana. 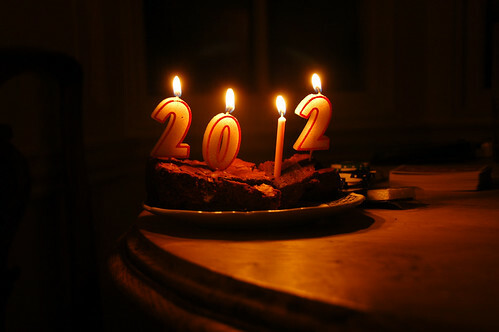 I hope you had a good Christmas and that you brought in 2012 in a way that made you happy. Last year - by which I mean Christmas 2010 - I was very much behind schedule writing a book so I ended up not really doing Christmas at all. Mrs Gorman went off visiting family and I stayed at home and wrote. It was effective. I got the job done. But it wasn't really Christmas. So this year I decided to do it in style. And with commitment. So I went offline on Christmas Eve and only revisited the world wide web a couple of days ago. And it wasn't just the internet that was forsaken. For New Year we went to a lovely place that didn't have a television. Bliss. If you've read the book I was toiling away at 13 months ago (hint, it's this one) you'll have read about me visiting Tim Harford to play Agricola while he was staying in the Lake District. You'll know that Tim told me about the Landmark Trust - an organisation that rescues historically significant buildings, saves them from ruin - or bad development - and helps to pay for it all by letting them out as holiday lets. 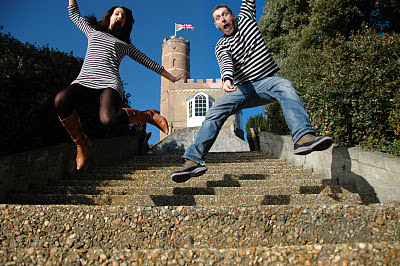 You might remember that I got quite enthusiastic about the idea and that I promised Mrs Gorman we'd be using the Landmark Trust for some exciting holidays at some point in the future. And that's what we did for New Year. It was spectacular. I've now got a big backlog of emails. And more tweets than I can possibly scroll back through. I gather that Googlewhack was shown on the box somewhere. I had no idea. Thanks to everyone who sent a nice message. Sorry I haven't replied. Switching off just seemed like a better idea than staying on. I feel refreshed. And the radio silence is over. Especially come Sunday. When I'll be being noisy. On the radio. 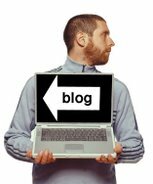 2012, originally uploaded by Dave Gorman.